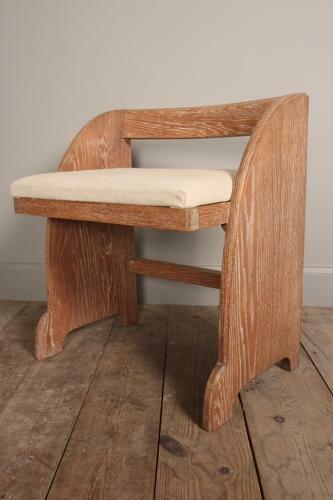 A lovely neat Art Deco period limed Oak stool, having curved sides with a moulded back rail and upholstered cushioned seat. Superb original condition throughout. Very much in the Heal's style. English, Circa 1930.